i509A Full Gigabit Unmanaged Industrial Ethernet Switches - 1000M Unmanaged Industrial Switch - Shenzhen InMax Technologies Co., Ltd. (InMax) �C the professional supplier of Industrial Ethernet Switches, and provider of IOT Industrial Communication Solutions. 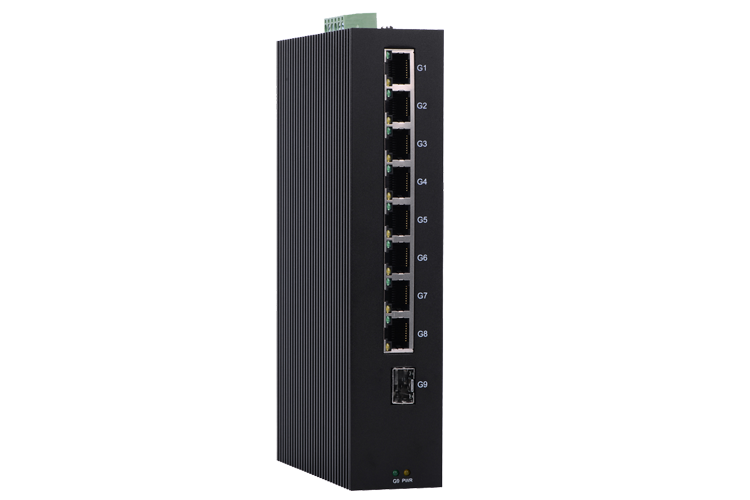 i509A Full Gigabit Unmanaged Industrial Ethernet Switches are equipped with 9 Gigabit Ethernet ports, and up to 1 fiber optic port, making them ideal for applications that demand high bandwidth. It accords with FCC, CE standard and industrial design requirement. It can work in -40 to 75℃ working temperature steadily, and provide reliable and quick solution for your Ethernet device.